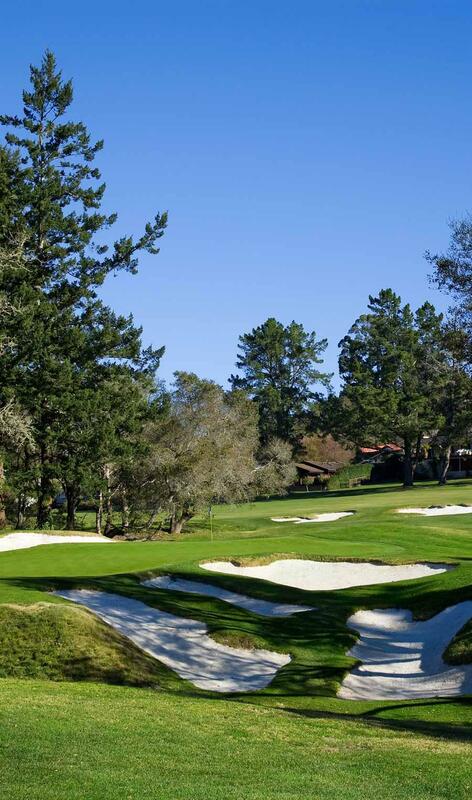 Pasatiempo is a semi-private golf club which makes certain tee times available to the public. We invite you to join us to experience both our hospitality and one of the world’s great golf courses. Shoes are required at all times on and off the golf course and in the buildings. Golf shoes must meet the approval of the pro shop; metal spikes are not allowed. Immediate issues regarding inappropriate attire will be settled by the pro shop staff and reported to the general manager and BOD. A professional practice facility — with large putting and chipping greens and multiple bunkers — is located next to the first tee. This facility will help you ready your putting, sand play, and chipping game. Pasatiempo Golf Professionals offer individual and group lessons by appointment. Golf lessons may be scheduled by contacting the Pro Shop at 831-459-9155. Lessons are scheduled individually with the Golf Professional of your choice and conducted at the Pasatiempo practice facility or driving range. Click here for lesson rates. Pasatiempo is very walkable, having been built in the time before electric carts; for example, every tee is close to the previous green. However, our terrain has significant elevation changes. If you like walking and can handle a hilly course, you will definitively enjoy Pasatiempo. Caddies services are available. Please call our pro-shop (831-459-9155) at least 24 hours in advance to reserve your caddy.